• A precisely stated, step by step list of instructions to carry out a task. • All algorithms consist of a combination of sequences, selection and repetition. Is there an algorithm to making a jam sandwich? •There are 30 students in a class. •Each student has taken a test with 20 questions. •2, 6, 8, 14, 18, 6, 15, 7, 6, 17, 12, 6, 15, 19, 20, 3, 15, 6, 3, 18, 6, 2, 13, 10, 19, 5, 6, 7, 16, 18. •How many people gained a mark of 6? •What process did you go through to work this out? 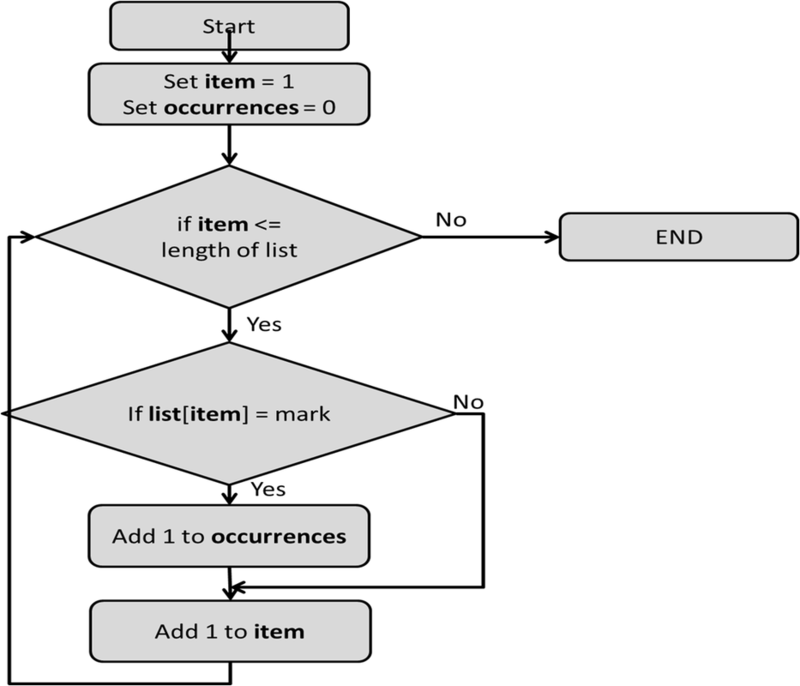 ​Above is the psedocode for the algorithm that counts the number of 6s in the list of numbers. Can you write the python code to create a program which counts how many 6s occur? Submit your code using the link at the top right. How do you go about working out the mean from the following list of numbers? 2, 6, 8, 14, 18, 6, 15, 7, 6, 17, 12, 6, 15, 19, 20, 3, 15, 6, 3, 18, 6, 2, 13, 10, 19, 5, 6, 7, 16, 18. 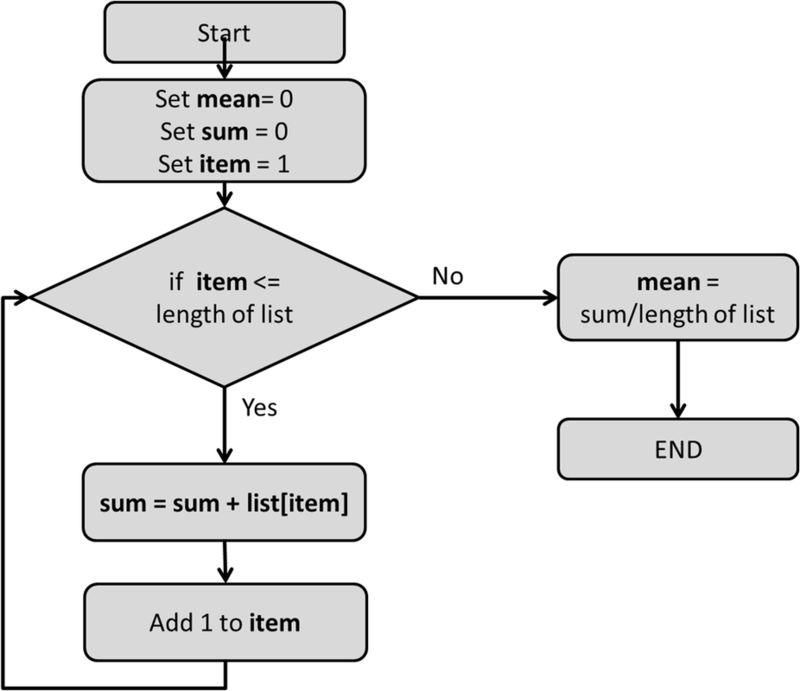 ​Above is the pseudocode for the algorithm that works out the mean in the list of numbers. Can you write the python code to create a program which works out the mean? Submit your code using the link at the top right. The contacts list in our mobile phone is a list that is ordered alphabetically. How does our mobile phones store our contacts in alphabetical order? Bubble sort, sometimes referred to as sinking sort, is a simple sorting algorithm that repeatedly passes through the list to be sorted. In a single pass, the sorting occurs by a comparison of each pair of adjacent items and swaps them if they are in the wrong order. Both this video and and animation show that at any one time, a pair in a list is compared and then change places depending on their size.